"Hold Me Closer, Tiny Dancer" or "Don't Stand So Close to Me"? 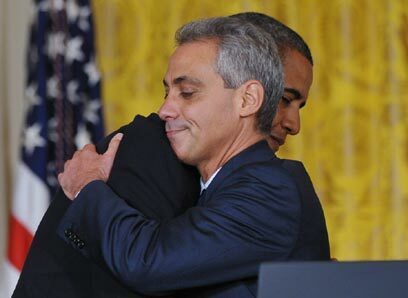 Former chief-of-staff (and 5′-4″ ballerina wannabe) Rahm Emanuel enjoyed a hugs-and-tears sendoff from the Obama White House. He then immediately launched his Windy City mayoral campaign. Well actually, Emanuel recorded a campaign video before leaving the capital. Despite the ensuing media frenzy, Emanuel is not a big hit with his potential constituents. Maybe, these Chicagoans know about Rahm’s “dead fish” message and “liberals are f**king retarded” comment. Or, maybe they’re just as upset with Obamanomics as the rest of the nation. There are also concerns that “Rahmbo” is not a legal resident of the “City That Works”. I have no doubt that such pesky technicalities will be easily swept aside. An intriguing question is: Will President Barack Obama appear in ads or actively campaign for Rahm? Given Obama’s reduced standing in his home state, maybe Emmanuel will avoid asking for the president’s help. African-Americans and Hispanics in Chicago see the end of the Daley Era as the perfect time for their ascension at City Hall. Several such candidates have already began campaigns. Chances are they won’t take kindly to Rahm’s carpetbagging. Politics in Chicago is very local and very personal. Absent unusual circumstances, Obama’s positive sendoff was likely the extent of his involvement in the mayoral race. He’ll avoid the entanglement of hometown politics as much as possible. What are Emanuel’s chances of election? With a gazillion candidates on the ballot, all Emmanuel needs is to keep any one of his opponents from gaining an outright majority (say through a slew of attack ads), finish second and force a runoff. He may have a chance then. An as yet unannounced candidate, Cook County Sheriff Tom Dart, may be Rahmbo’s biggest obstacle to election. Dart has support among Chicago “lakefront liberals” and the African-American community. A Dart-Emanuel race would be fun to watch. After all I've done for you &$#@ people? Guilty on one count and a mistrial on the other twenty-three. Only in Chicago. Former governor Rod Blagojevich (D-IL) was found guilty of lying to FBI agents. He faces a prison sentence of up to five years and fine of up to $250,000. But, more importantly he faces a retrial on the remaining counts. I know the partial verdict has resulted in much gnashing of teeth and recriminations about the justice system in Illinois. But, I think a vital fact is being overlooked. 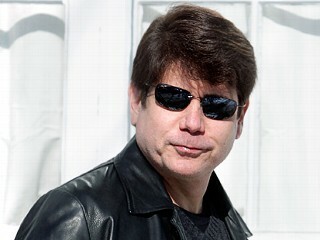 If the media reports are true, and a single juror held out on the 23 counts, then Blago is a “dead man walking”. His chances in a retrial are even slimmer. Ditto for his brother Robert. Blagojevich’s high-priced attorneys, father and son duo Sam Adams Sr. and Jr., must be telling him this. Their client survived by the skin of his teeth and his future freedom is hanging by a thread. Blago doesn’t have the personal financial resources to weather another long trial. After all, a lack of funds is what the impeached governor kept complaining about during those wiretaps. And, the two Adamses don’t come cheap. I can imagine them advising “Governor Hairdo” to cut his losses and seek a plea bargain. Maybe they can negotiate a shorter stay at a nicer “Club Fed” if he cops some lesser charges. Hey, isn’t making deals what got Blago in this jam to begin with? 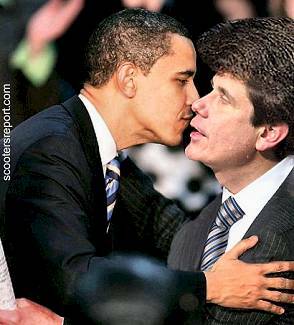 Blagojevich Goes Quiet: What Took So Long? "I know it was you Fredo." When submariners need to hide out from those searching for them, they adhere to radio silence and are said to have “gone quiet”. Former Governor Rod Blagojevich (D-IL) has never been one to go quiet. Until Wednesday. His lawyers are quite aware that their client is the “World’s Loosest Cannon”. They may not be able to say that publically, but you know they believe it in their hearts. Heck, even Blago admitted at a press conference that he talks too much. Now he gets it. Da Guv couldn’t figure that out when the authorities practically told the world — via the Chicago Tribune — that they were recording his conversations? So the defense team “persuaded” Governor Big Mouth to give up his right to testify on his own behalf. The circus that was a federal fraud trial is now over. They loudly proclaimed the usual “government didn’t prove its case” line. What else could they do? They couldn’t risk putting the guy on the stand. He might tell the truth… or worse, his own crazy version of it. Is this hole too deep? The first rule of holes is stop digging. Governor Patrick Quinn (D-IL), recently dubbed “Governor Clueless” by the Chicago Tribune, is immune to such common sense. 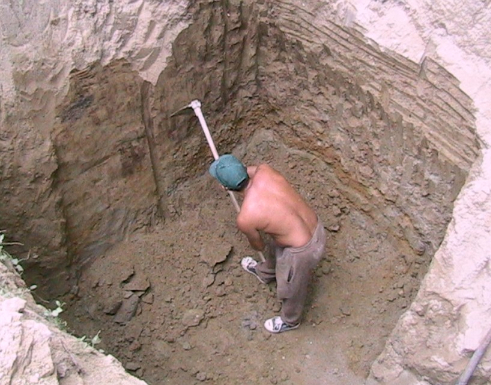 Quinn dug himself a huge hole by calling on Illinoisans to share in the pain of budget cutting. Then he not only didn’t cut the budget, Quinn gave his staffers large raises! With leadership like that Illinoisans will soon be yearning for the return of impeached and indicted former Governor Rod Blagojevich (D-IL). Not content to leave bad enough alone, Quinn decided to explain his actions so the public could better understand the situation — with predictable results. In an earlier KEN’S TEN post (“NYT: Land of Obama Drowning in Red Ink“), I noted that even the New York Times smelled something rotten in Illinois — besides the Asian Carp. The State of Illinois has stopped paying bills for the simple reason that they have no money. Now the Chicago Tribune reports that Governor Patrick Quinn (D-IL) rewarded his staff for this tour de force of public administration with large raises. How do Democrats sleep at night? Things are looking very dire in the Land of Obama. The New York Times reports that Illinois Comptroller Dan Hynes (D-IL) has stopped paying the state’s bills. The Comptroller is the elected “chief accountant” for the state government. So, he qualifies as an expert on this issue. Should we blame Arizona legislators, the BP oil spill or that pesky Ghana soccer team? No wait, it would have to be Bush 43’s fault, right? Surprisingly (to liberals) it is none of the above.